LOL! Very cute. Nice work on this wallpaper. huhuhu.. great one.. thanks bro..
nice idea for this wall! I saw one on the net before of this picture, but it was the Matrix, yeah! This is just as awesome and just as funny, yeah! That's pretty cool, i like that. nice.......Men in Bleach, i like that! 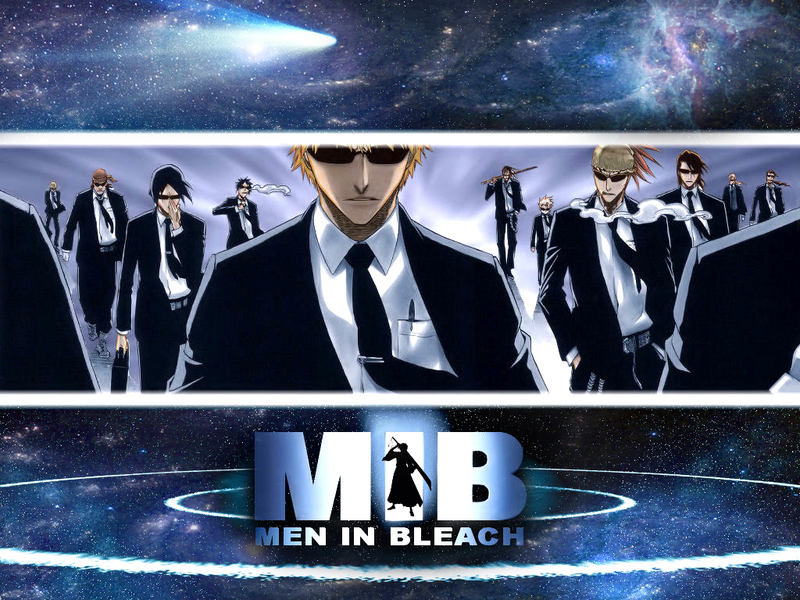 I like Ichigo in the I in M.I.B.